With masks and rifles, police came to Anatoly Vilitkevich’s door in the early morning and made him pack a bag. He was wanted for religious extremism — as a Jehovah’s Witness. Vilitkevich, who lives in the industrial city of Ufa, was one of more than 20 members of the US-founded Christian movement detained across Russia in recent months. They risk up to 10 years in jail, according to Human Rights Watch. Various groups have been targeted under a 2016 anti-extremism law. 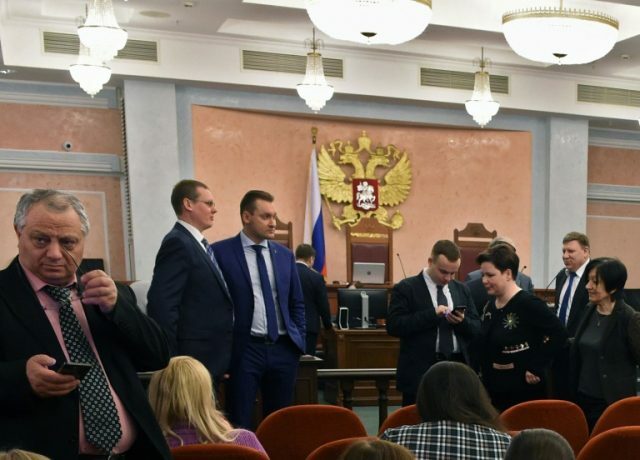 An additional 2017 Supreme Court ruling targeted the Jehovah’s Witnesses specifically, ordering their dissolution in Russia. “Officially, it’s a totalitarian sect of extremists. But in fact, these are people who because of their faith are not susceptible to propaganda,” said a man identified as a Russian FSB secret service officer by Radio Liberty. “The system sees them as a threat because they are organised and independent. One day they may seek power,” he told the station in an interview this year. The Jehovah’s Witnesses told AFP that 22 of their members were in jail in Russia, including a couple detained together on July 4. Human Rights Watch said police threatened the Jehovah’s Witnesses in raids, in some cases holding guns to people’s heads. “We don’t see any reasonable explanation for it,” said Yaroslav Sivulsky, a senior Jehovah’s Witnesses representative in Russia. Alyona Vilitkevich, 35, said investigators classed their Bible readings and prayer groups as “extremist activity”. “It is humiliating. It is unjust. We are peaceful citizens, far from any kind of extremism. But they consider us criminals,” she told AFP by phone from Ufa. Jehovah’s Witnesses are a Christian denomination that originated in the United States in the late 19th century. They have spread worldwide, seeking converts and giving out leaflets. They say they number nearly 172,000 in Russia, an Orthodox Christian country of 144 million. “They are close to the people, they preach and promote their religion openly, so that makes for competition and rivalry with the Russian Orthodox Church,” said Maria Kravchenko, an expert at the SOVA Centre, a civil research group. 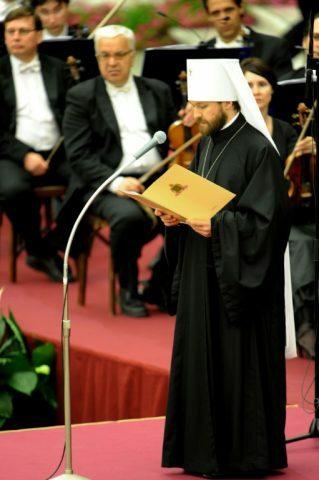 A senior Russian bishop, Hilarion Alfeyev, said Jehovah’s Witnesses “destroy people’s minds and destroy families”. But he insisted the prosecutions were a judicial matter, not a religious one. “The Church generally does not call for the prosecution of heretics, sectarians or dissidents,” he told television channel Russia 24 in April. Kravchenko noted that the crackdown has come at a time of high tension between Russia and the West. 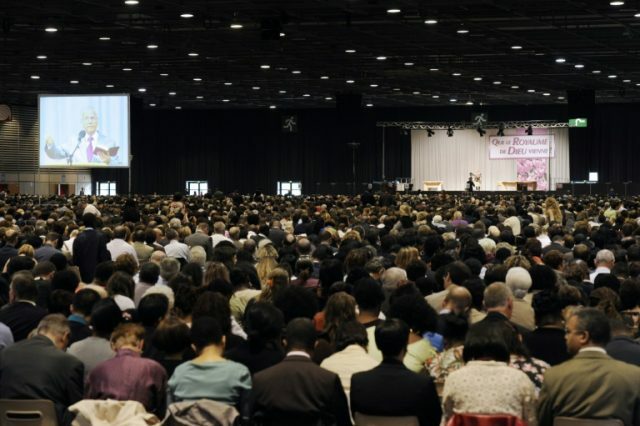 “Maybe this decision of the Russian authorities to ban all Jehovah’s Witness organisations in Russia could be connected with this recent anti-Western trend,” she told AFP. In a report last month, Human Rights Watch accused the Russian authorities of a “sweeping campaign” of “harassment and persecution” against the movement. “The Jehovah’s Witnesses are simply peacefully exercising their right to freedom of religion,” said Rachel Denber, the NGO’s deputy Europe and Central Asia director. The Jehovah’s Witnesses say about 200 of their members have fled from Russia to Finland and thousands more to other countries. Anatoly Vilitkevich, 31, was held for nine days in April and then transferred to house arrest pending trial. He is not allowed to talk to journalists. His wife Alyona said they are appealing his case at the Supreme Court and the European Court of Human Rights.